Political neophyte Thomas Craft filed paperwork with the Federal Elections Commission this week and launched a campaign website for a run at Kline's south suburban congressional seat. He will officially kick off his campagin at a Saturday news conference at his Eagan home. And then there were two. Democratic candidate Thomas Craft filed paperwork and launched a campaign site this week for a run at Minnesota’s 2nd Congressional District, making him the second candidate who wants to take on incumbent Republican congressman John Kline next fall. Craft is quite familiar with his challenger for the DFL endorsement, Mike Obermueller; Craft volunteered on Obermueller’s first campaign against Kline in 2012. Obermueller, a former DFL House member from Eagan, lost to Kline by about 8 percent of the vote last fall. Both candidates plan to seek and abide by the endorsement. Craft, 30, has limited experience in politics. Before working on Obermueller’s campaign, he volunteered for Barack Obama’s 2008 presidential campaign in Chicago, where he was living at the time. Craft currently works at St. Louis-based Perficient, Inc. as an IT consultant. Craft describes himself as a “fiscally conservative and socially liberal” Democrat. There’s been an influx of DFL interest in Kline’s seat since the new redistricting maps were released in February 2012. Under the new maps, Kline’s once reliably conservative district shed GOP strongholds in Rice, LeSeur and Carver Counties, while picking up DFL territory in parts of West St. Paul and Mendota Heights. The changes enticed three first-time congressional candidates to seek the DFL endorsement for the seat, with Obermueller prevailing after four ballots. In last fall’s election, Obama won slightly more votes than GOP presidential candidate Mitt Romney in the newly configured 2nd District, but Kline proved harder to tackle. He comfortably beat Obermueller by more than 8 points in an otherwise strong year for Democratic candidates. 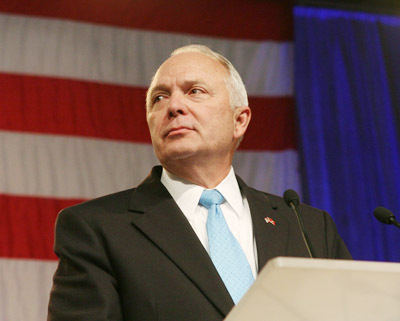 Kline was first elected to the U.S. House in 2003 and he currently chairs the powerful House Education and Workforce Committee. The congressman from Lakeville has already raised more than $1 million to defend his seat. Craft lives with his wife Karolina and their son Henry in Eagan. He will make his campaign official at a kickoff event at his home on Saturday.